I use C (sometimes Tcl scripts) to write testing code and C++ to make model(s). C++ libraries like systemc, scml2, tlm are used. To compile them, ARM scatter files and some simple scripts are needed. The testing is run on ESL software. People here are friendly, and there are many activities going on, e.g. 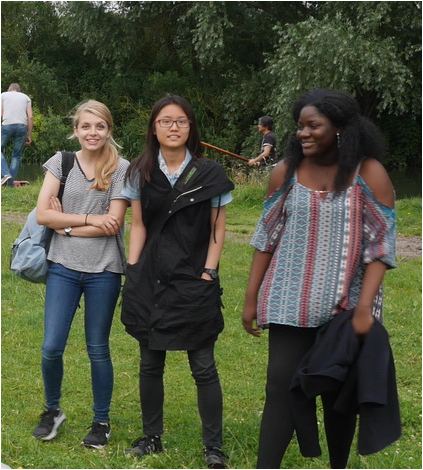 lab events, punting, badminton, and yoga. I really enjoy working here. I’ve learned a lot since the internship started, that’s my favourite. I’m looking forward to contributing more J When I get to the office, I try to solve the problem that I left the day before, and a fresh mind in the morning always turns out to be helpful. After that, a new problem that I’ve never met before usually appears. So another troubleshooting process starts… Challenging, interesting, enjoyable would be the three words for me to describe my internship experience at MediaTek.